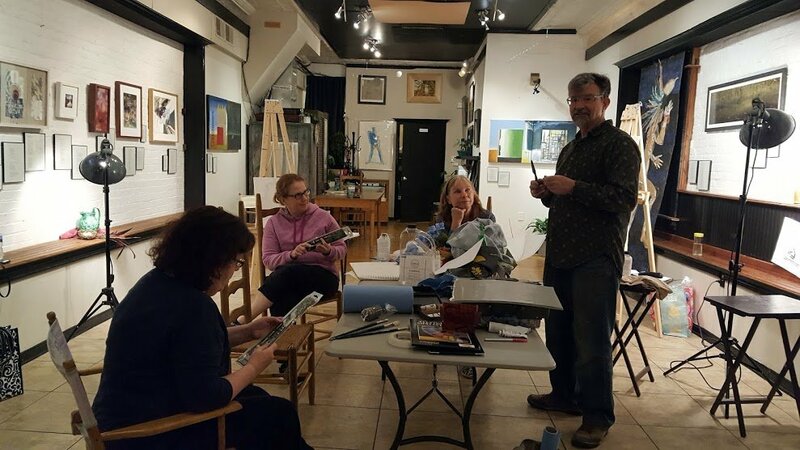 I have taught at various venues in the area including at 505 North Gallery shown above. More information to come about my Spring 2018 workshop at the Arts Barn in Gaithersburg. I am also available for individual classes at my studio in my downtown Frederick home (two student max). Call 301-502-1722 or email tsemmes54@gmail.com for more information.